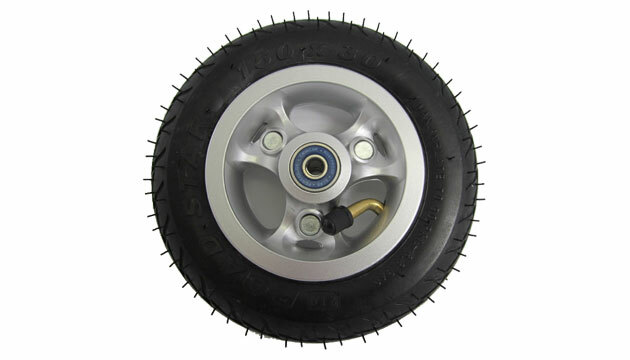 Our 6 1/4 inches Complete wheel with Magnesium rims includes all you need to just plug on an go! The Magnesium rims are made of 2 pieces that are held together by 3 torx screws. This makes changing tires much easier because you "built the rim into the tire". A huge advantage when changing the tube or tire. Fits to: Powerslide XC Trail, XC Trainer, XC Path, X-Plorer, XC Skeleton with 150mm.